Julie sees clients in the Las Vegas office. 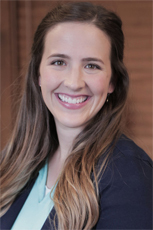 Julie received her master’s degree from Brigham Young University and is a Licensed Marriage and Family Therapist. Within a safe environment, Julie will help you to recognize strengths and resources to achieve your personal goals. She practices Emotionally Focused Therapy which is a research-based treatment for couples seeking emotional connection and fulfillment in relationships. She helps couples achieve more secure attachment, heal from relationship injuries and develop a greater sense of resilience. She works with couples to help them attain the relationship they long for and realize their potential for happiness. Julie also works with clients to help them through anxiety, depression, self-esteem and body image issues, and addictions and recovery. Julie understands and respects the courage it takes to come to counseling and believes that counseling makes a profound impact in peoples’ lives. The fact that each one of us has the capacity to heal, change, and grow fuels her commitment as a therapist.